During a discussion about fighting spam, a coworker mentioned an interesting Gmail feature. As that service doesn’t provide aliasses, you can’t have a specific mail address alias for your internet services. Some use a different email address for each service they sign up for, a practice which is understandable with some services that (sometimes illegally) opt-in bulk mailings or more nefarious mailings. Whenever a specific alias receives unwanted mails, you can see where it came from and take direct action like complain, create a rule with a fitting action or just disable the alias. Gmail offers another solution, namely mail addresses with sieve. Instead of having an alias, you can add an extra text portion to the localname part of the SMTP address, that is the part before the @. The delimiter is the + symbol. 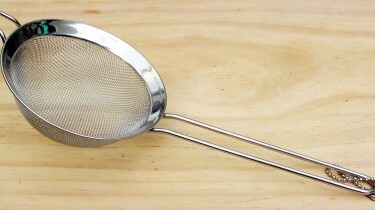 So, if your address is johndoe@gmail.com, an sieve address would be johndoe+sieve@gmail.com. Despite the +sieve, the mail will still be received by johndoe@gmail.com. Benefit is that the user doesn’t have to prepare anything, such as with aliasses, resulting in an almost unlimited amount of mail address variants. Although Gmail doesn’t mention this explicitly, this feature is described in RFC 5230, with some additional information in RFC 5228. And how about Exchange? 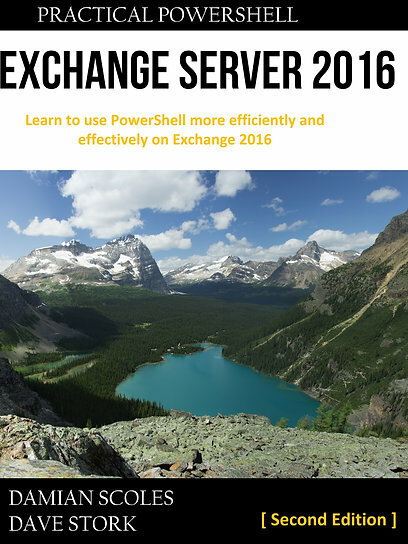 Nowhere is there explicit support stated for this function and testing with Exchange 2013 on-premises and Online with Exchange Online Protection (EOP) resulted in NDRs, with the report that the recipient isn’t known. Is that bad? I never have had the request for this feature before, I even didn’t know that it existed. Personally I don’t think enterprise organizations would like the idea that users could use an unlimited variant of their mail address without admin control. Especially for signup on services that probably don’t benefit the goals of that organization. I can imagine that fighting spam/malware would be more of a challenge with sieve addresses, as for instance recipient filtering would have to take this feature into account. If you don’t want to use Gmail (for whatever reason), it seems as if the non-enterprise Outlook.com service (previously Hotmail, Live, MSN whatever), does support sieve addresses although I can’t find a source confirming this (other than myself testing it). I like the general idea behind sieve addresses, but in my opinion I find this more fitting with consumer grade mail services. It seems as if Microsoft shares that opinion. Update: If you really require this functionality, Exclaimer does provide this with their tool Address Tagging for Exchange. Thanks to fellow Exchange MVP Michel de Rooij for this tip! I miss this in Exchange, having migrated from Merak/Icewarp. If you have a front-end server that is not Exchange — such as Postfix or Exim — you can have this rewrite the Envelope Recipient address to remove the plus-address component before relaying to Exchange. Exchange will then accept the mail and route it normally, while leaving the From: To: CC: headers intact. You can then use Outlook/Exchange mail rules based on To: and/or CC: addresses to file into a folder; albeit you will need one rule per plus-tag (you cannot automatically extract the plus-tag and use this as a folder target). Of course, this only works for mail coming in via the non-Exchange relay. If you need it to work internally, too, you would have to configure Exchange as an Internal Relay (rather than Authoritative) and allow internal mails that do not match Exchange recipients to loop back to the non-Exchange relay. Whether that is worth the hassle is down to you. We needed the facility in our environment — at least, until we could deprecate it.